How can I find my livepage URL? 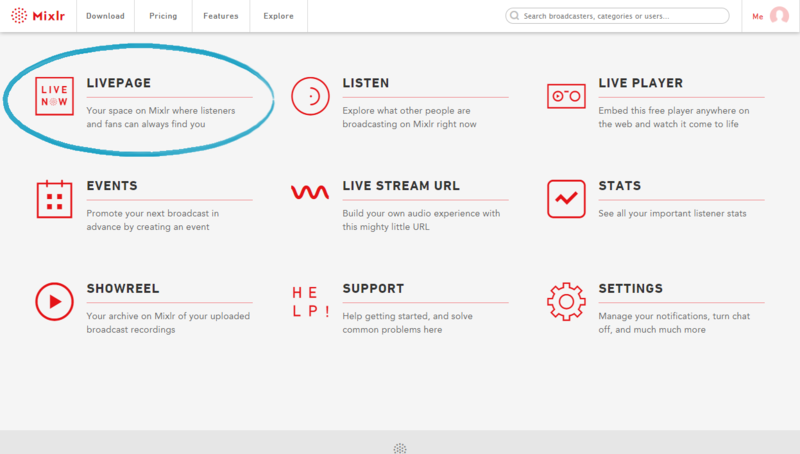 Your livepage is the location where your Mixlr broadcasts can be heard. In this article we'll show you how you can find your unique livepage URL. 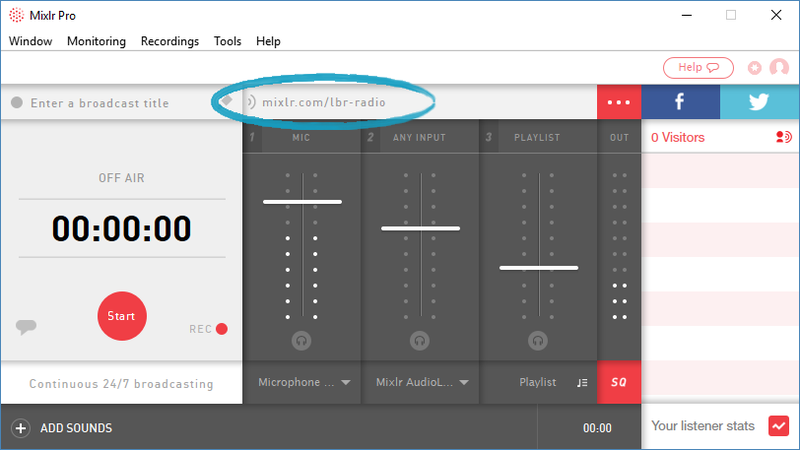 Your Mixlr livepage link is displayed at the top of the desktop app. 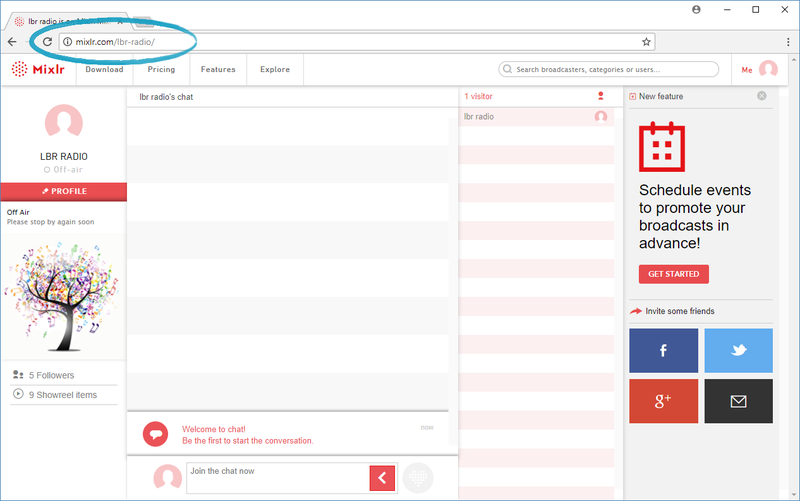 Clicking the red '...' icon to the right will enable you to copy or open your livepage URL. You can also share your livepave URL on Facebook and Twitter by clicking the icons to the right. You can also find your livepage link via the Mixlr website. Log in to your account and click the livepage link from the homepage. This take you to your Mixlr livepage. From here you can copy the URL from your browser's address bar. You can also share your livepage URL from this page by using the Facebook, Twitter and Google+ icons to the right of the screen.